Raconteur, rebel and consummate storyteller Chris Rose is bringing his unique literary performances to Playmakers Theater in Covington with an all-new “Over the Edge” presentation on December 7. The Pulitzer Prize winning writer will be joined by Dustan Louque, who will complement the stories with his acoustic guitar. What results is a unique literary/music fusion that will take audiences through a myriad of emotions ranging from laughter to tears. A former columnist for The Times Picayune, Rose became a household name virtually overnight when his introduction of Katrina survivors to the world, via an open letter titled “Dear America,” went viral. The prose became the anthem of hope amidst the post-apocalyptic despair of the Big Uneasy. Subsequent columns were compiled into a book, 1 Dead in Attic, which landed the writer on the New York Times bestseller list. Rose now serves as the tour guide of one of New Orleans’ most authentic and immersive experiences, the Magical Musical Mystery History Tour, which has become a popular excursion for both locals and visitors. Louque is also a storyteller, turning the tales he collects during his music tours into picturesque lyrics. With a unique sound that has been described as a blend of modern and rock, the musician punctuates Rose’s readings with an electric energy that is both engaging and entertaining. Collectively, the duo creates a unique experience in which the lines between literature and music are blurred, and audiences hang on to every word. Presented by Playmakers Theater and St. Tammany Art Association, “Over the Edge” will take place Dec. 7 from 7 to 8:30 pm in the theater, located at 19106 Playmakers Road in Covington. Tickets are $25 and are available via the ticket link at PlaymakersInc.com. 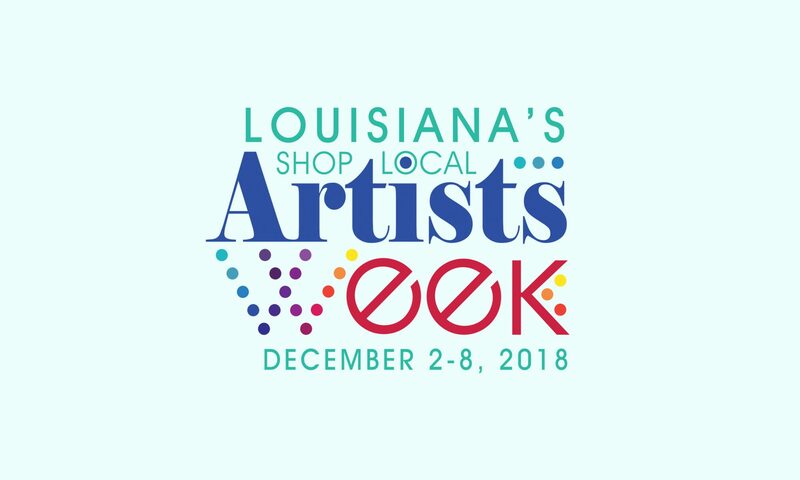 The performance is part of the statewide Shop Local Artists Week initiative Dec. 3 to 9, celebrating all facets of the arts and Louisiana’s creative producers. For a complete listing of events, visit www.ShopLocalArtistsWeek.com. Playmakers, Inc. was organized in 1955 as a non-profit, voluntary amateur theater and has functioned as an organization for the promotion of dramatic interests in the Covington area. Founded in 1958, St. Tammany Art Association’s mission is to provide quality programming and cultural enrichment to the community, to support established artists, promote emerging artists, and produce educational arts related activities for adults and children and in doing so enhance life in St. Tammany Parish.